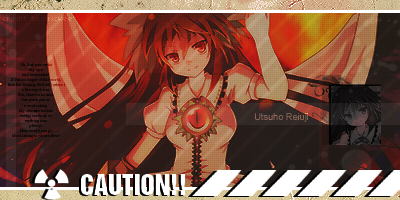 Sync failed (really not having much luck with the sync) and it is gentle nature, mischievous, with Beast Boost. Now I just need to find kyogre and I'll have everything I currently want from Ultra Moon. Decided to do a little bit of shiny hunting last night in Let's Go and ran into a Shiny Pikachu (it only took 23 to reach it -- shortest shiny hunt yet). Was really surprised when it popped up! Just caught a shiny Meltan in Pokemon Go. Well that didn't take too long! 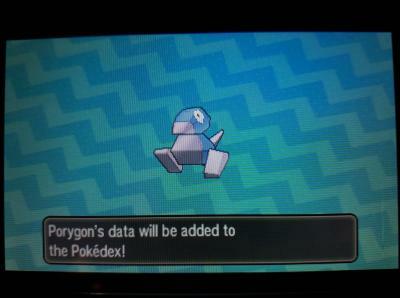 Shiny Porygon after only 1,100 SRs!! Synced Modest, it only had one perfect IV in Defense. 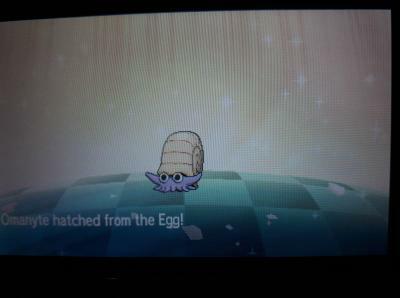 At 40 eggs hatched for the first Lord Helix now. Where did that "Lord Helix" thing even come from? I was syncing for Adamant, but the sync failed and it came out Rash and somewhat vain (I seem to be getting a lot of vain shinies lately). Desperately wanted to get him in a heal ball, but he was having none of it and broke out of almost 20 heal balls, a level ball, and two timer balls before one finally stuck. Wanted to name him the German word for "nuisance", but the game's options have no equivalent of "ä" so instead I named it Bake-kujira after the mythical ghost whale of Japan. Kyogre was the last SR hunt I had currently planned for UM. Now I have to get everything moved over to Ultra Sun so I can pick up my MM hunts over there again. I also caught a second shiny sawk in Y; it's gentle and takes plenty of siestas, with Sturdy. Sometime later I also caught the shiny machoke I went in after; he's lax and somewhat vain (again...) with No Guard. Just ran into and caught a random shiny Machoke in Let's Go. He surprised the heck out of me! I believe the whole Lord Helix thing came because of the vast amount of people who chose the Helix Fossil over Dome in Mt. Moon. That's probably where it stemmed from, Cyberra. At 125 eggs hatched now. It was from Twitch Plays Pokemon when they kept selecting the fossil in the bag. 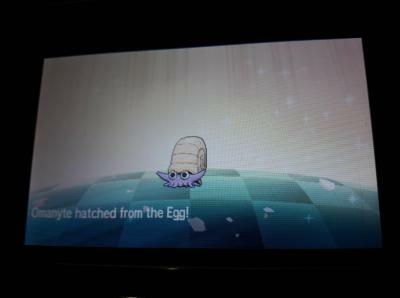 Now at 300 eggs for the first one. First shiny Lord Helix after 330 eggs! Relaxed 5IV missing Defense, with Shell Armor. Lucked out and caught a shiny Swinub in Pokemon Go. Glad one showed up. After a long hiatus (since smash bros ultimate and tales of vesperia definitive edition happened) I picked up my shiny Reshiram hunt in Ultra Sun again several days ago. It finally shone just a few minutes ago. 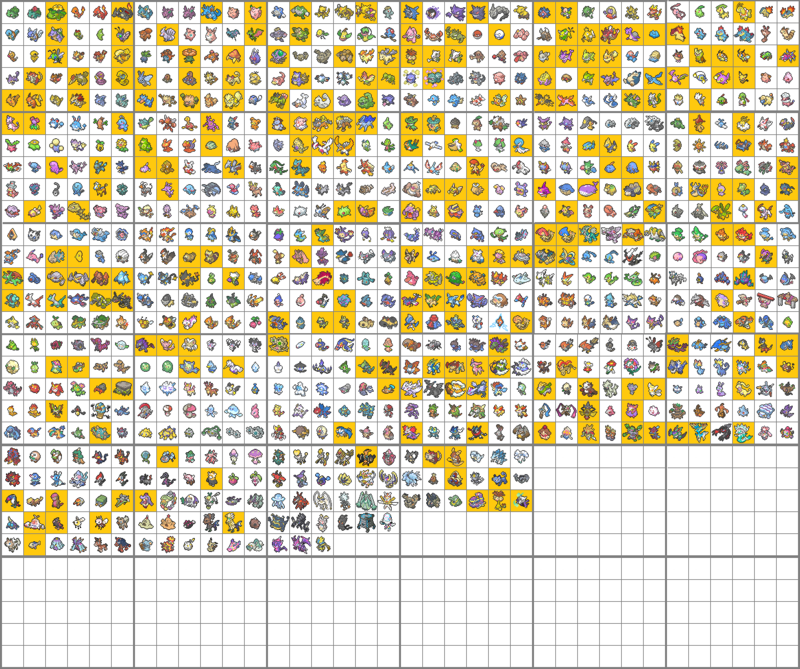 Only Cobalion, Terrakion, Mewtwo and Dialga left for legendary hunts in Ultra Sun. I already have Mewtwo and Dialga shiny but they're from trades so I'd rather catch them myself. While searching for my next target in green wormholes, I ended up finding a shiny Heliolisk. Didn't have one yet so that's a nice bonus. Edit: Got another shiny Grumpig too. Edit2: Found Terrakion, so I set it as my next target. Edit 5: Found my next target, Cobalion. Not expecting this one to go as quickly as last. Thinking of taking a break from wormhole shinies after this one though and do Mewtwo and Dialga later since I already got them. I've been at legendary shiny hunting in Ultra Sun since last spring or so and getting a bit tired of it after almost a year. 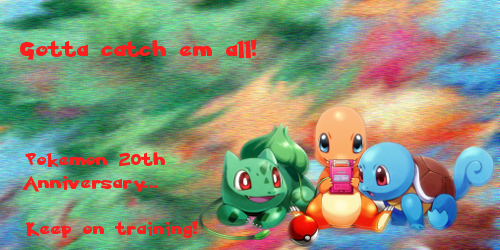 I wanna try some MM'ing or SOS hunting after rounding up this hunt. Congrats to everyone with their new shinies and good luck hunting. Up next is axew. I want a Mold Breaker haxorus. Second Lord Helix after 398 eggs!! Relaxed again, 5IV but this time missing HP. Will likely be the Omastar. Did some Geodude chaining last night in Let's Go and lucked out at a little over 50 encounters. A shiny one showed up and I caught it and named it Nugget.